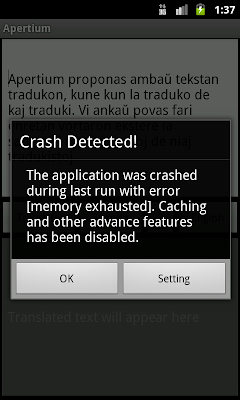 Some device doesn't have enough RAM to support cache feature for translation and hence get crashed due to Low Memory. 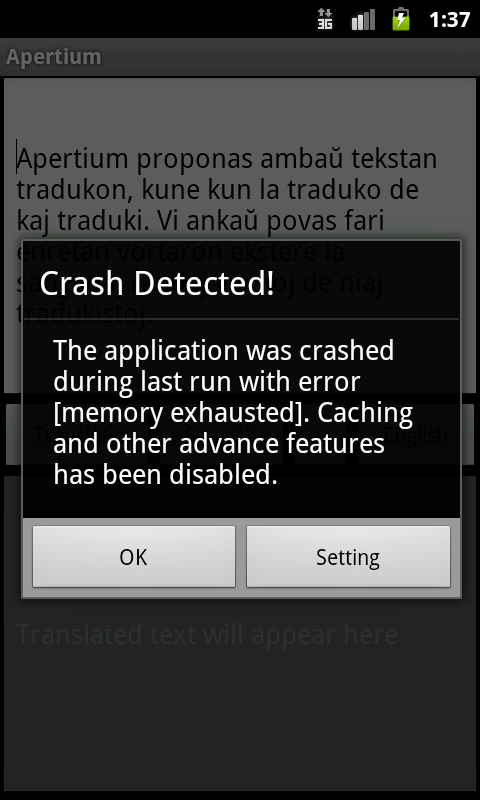 At the time of crash, App report it to app preference and close itself gracefully. So in next run, advance feature like cache can be switched off.